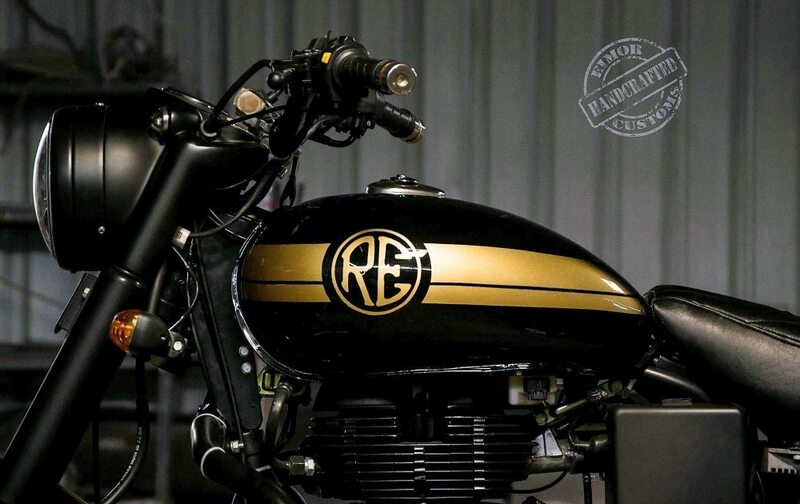 EIMOR Customs have once more proved that elegance needs no loud shades coming out of your motorcycle. 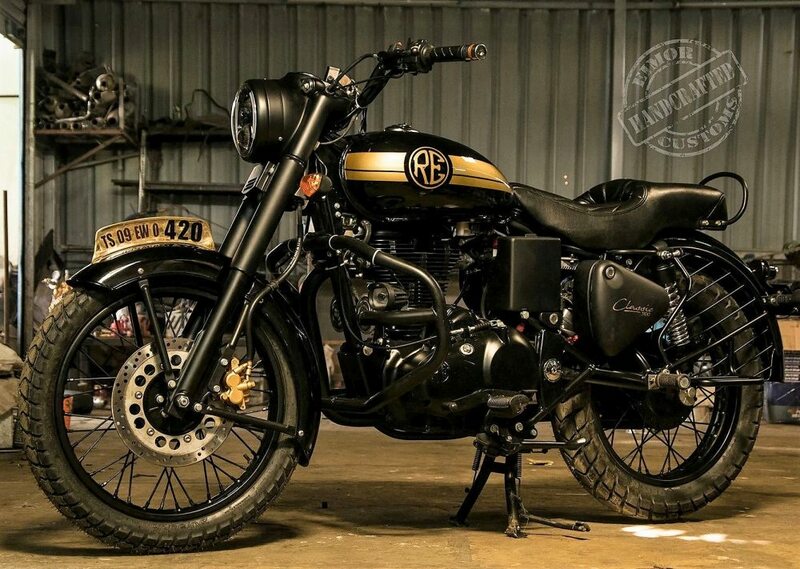 Royal Enfield Classic 500 Goldy is one great example where traditional shade selection has made the motorcycle feel better than those which are heavily shining. 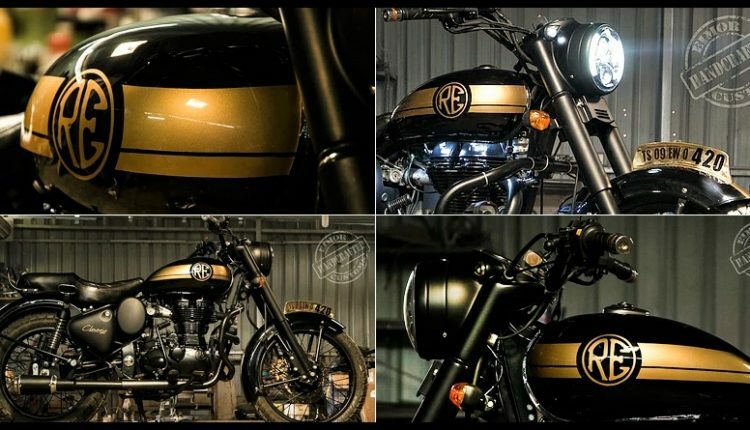 This one comes with plain black base paint with gold finished RE emblem and twin stripes running through both sides of fuel tank. 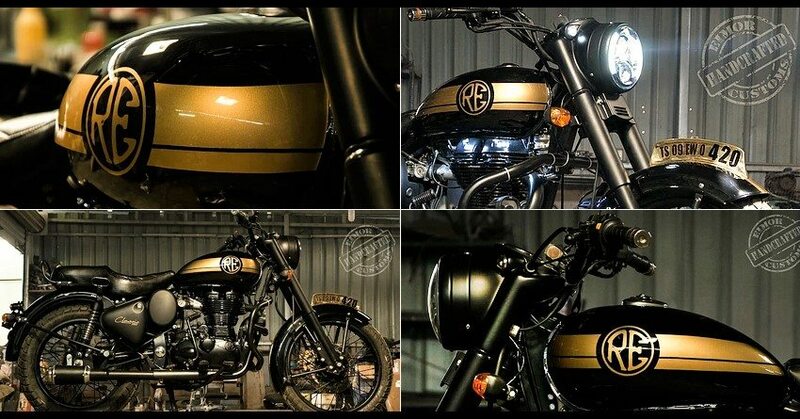 Front and rear fender on Goldy comes with thin dual stripes running through the center. 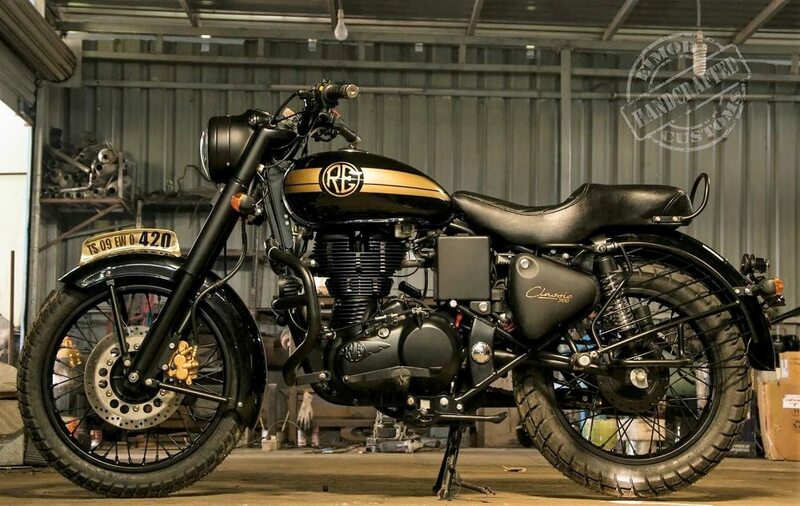 Tyres used here are dual purpose and hence, Goldy always stay ready to conquer tough terrains. It even comes with an LED headlight. They are even using two fog lights mounted on that huge leg protector for better illumination in foggy areas. 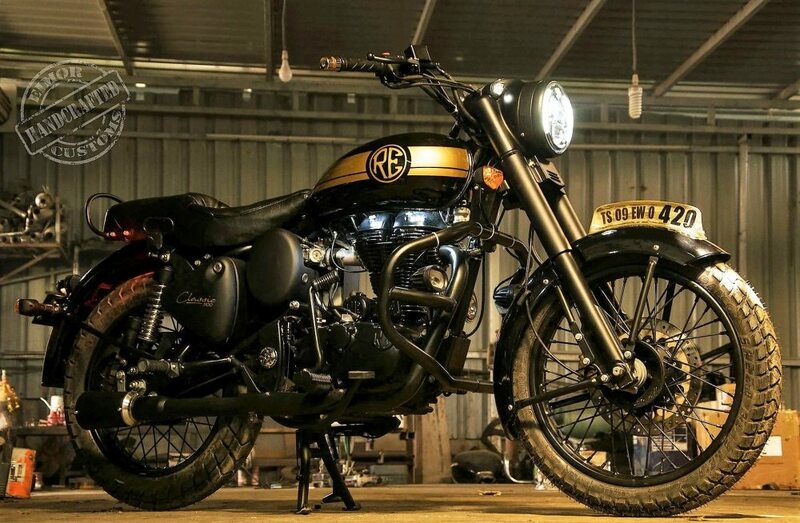 Instead of standard number plate, Goldy comes with vintage style golden plate that stand proudly on the front fender. 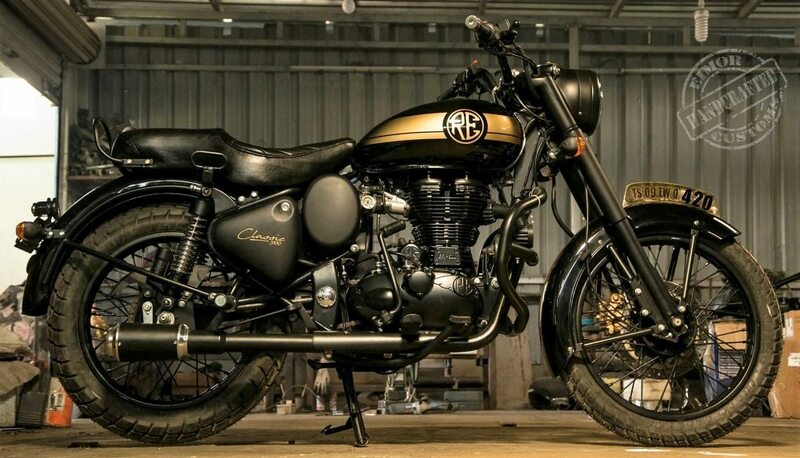 The motorcycle is based on RE Classic 500, helping it use the huge 499 cc, single cylinder motor on all types of roads for most powerful riding experience. The engine comes mated to a 5-speed gearbox and claims 27.1 BHP of maximum power. Torque is even mind blowing at 41.4 Nm. Goldy even offers a custom designed, highly comfort enhancing seat for the rider.